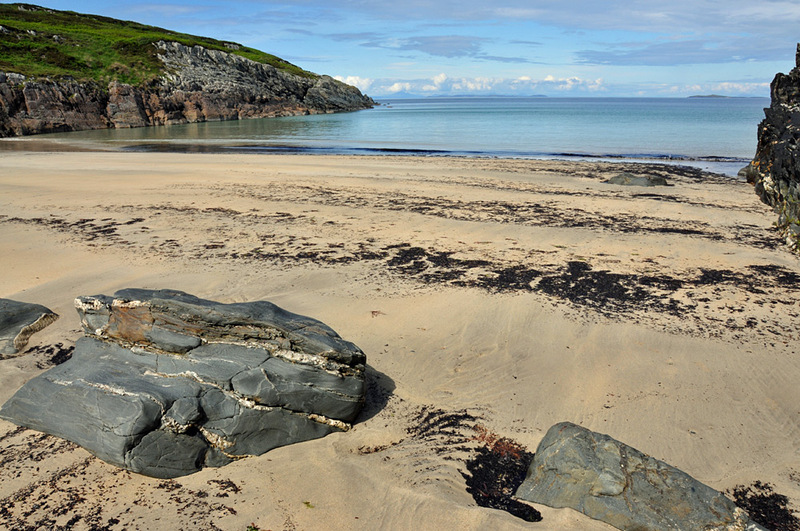 The beach at Port Ghille Greamhair is one of Islay’s smaller and lesser known beaches. It is hidden between two cliffs just north west of Sanaigmore. On clear days Colonsay and Mull can be seen in the distance. This entry was posted in Beaches, Cloudy Weather, Landscape, Repost, Sunny Weather and tagged Colonsay, Mull, Port Ghille Greamhair, Sanaigmore by Armin Grewe. Bookmark the permalink.